Whey is the watery liquid that is left over after the curds have coagulated to make cheese. The whey contains most of the lactose out of the milk and about 20% of the protein. The whey protein is a rich source of essential amino acids which are the building blocks for muscles and other human tissues. They’re easily digested and absorbed by the body which is why they are often used in sports nutrition, infant/ageing nutrition and weight loss. Depending on the type of cheese you are making, there are two different types of whey produced and each can be used in different ways. Acid whey (below pH 5.1) is the by-product of making cheese using citric acid such as ricotta and mozzarella. Sweet whey has no acid added during the cheese making process. Whey can be stored in the refrigerator for a couple of months or frozen for even longer shelf life. Soak grains in acid whey before making beans, bread or bircher muesli. Make pizza dough with acid whey for a tang. Add sweet or acid whey to smoothies instead of milk, water or juice to provide more vitamins, minerals and proteins. 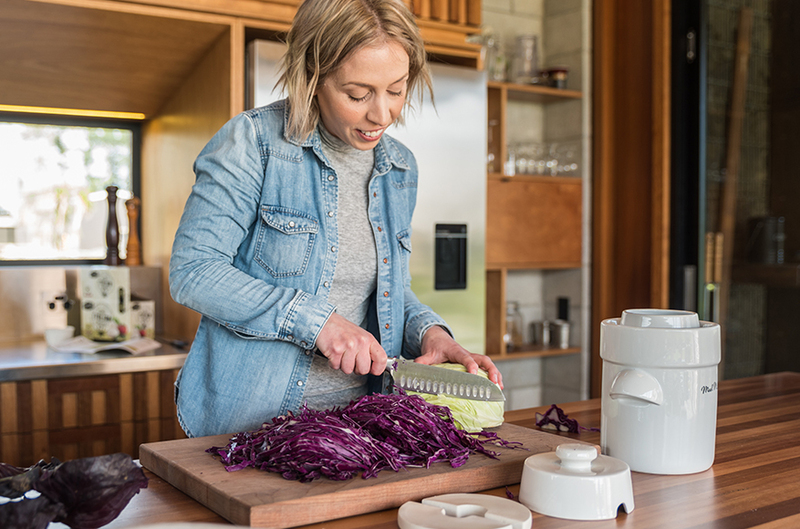 Use sweet whey as a starter culture for fermenting vegetables in our Mad Millie Fermenting Crock. Use as a cooking liquid for potatoes, rice or pasta with sweet or acid whey. Water your plants with sweet whey. Use acid whey to replace lemon juice in a salad dressing. Nut pulp is similarly useful in the kitchen and is something that is far too precious to just throw out, nuts can be expensive! 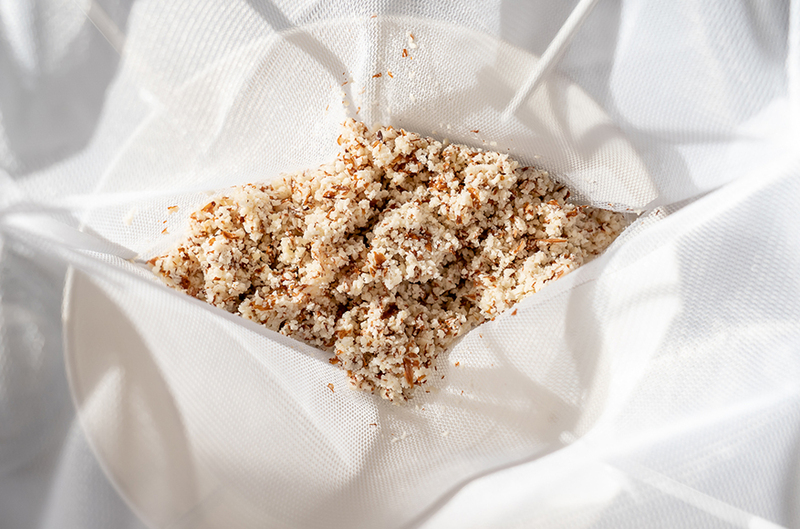 Once you have made your delicious fresh nut milk, collect the nut pulp out of the Mad Millie Draining Bag and use the below to help get you started with inspiration. Nut pulp can be stored frozen to maintain the shelf life and different types of nut pulp can easily be mixed together. Nut Flour - if you have a dehydrator then nut flour can be made easily. Alternatively spread it on a lined baking tray, set your oven at the lowest heat and dry until it is all crumbly and delicious. Nut Pulp Crackers can be easily whipped up by adding 3 Tbsp olive oil, ¼ tsp sea salt and 2 tsp dried herbs to 1 cup of nut pulp. Roll the mixture out and bake in the oven at 180°C (356°F) until they’re crispy. Baking and nut pulp go hand in hand, do some googling and you will find a huge range of nut pulp recipes out there. With the nut pulp being high in fibre the baking becomes that much less guilty! 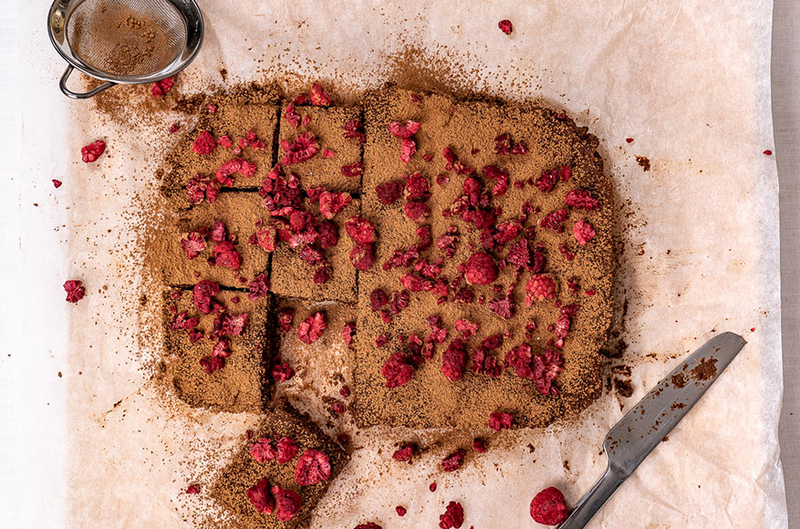 Click here to sign up to our "Time to Reflect" e-book, for a Raw Chocolate Brownie recipe, using left over nut pulp. Throw a couple of cups of nut pulp into your favourite homemade muesli to get all the goodness in the morning. Raw Nut Pulp Hummus, a delicious and easy recipe by Homespun Capers can be found here. While the nutritional benefits of nut pulp aren’t as great as whey, the pulp still contains fibre which is great for helping with digestion. Additionally, in a world where we desperately need to be more aware of what is happening to food waste and what we can do to reduce it, this can be your action to help contribute! 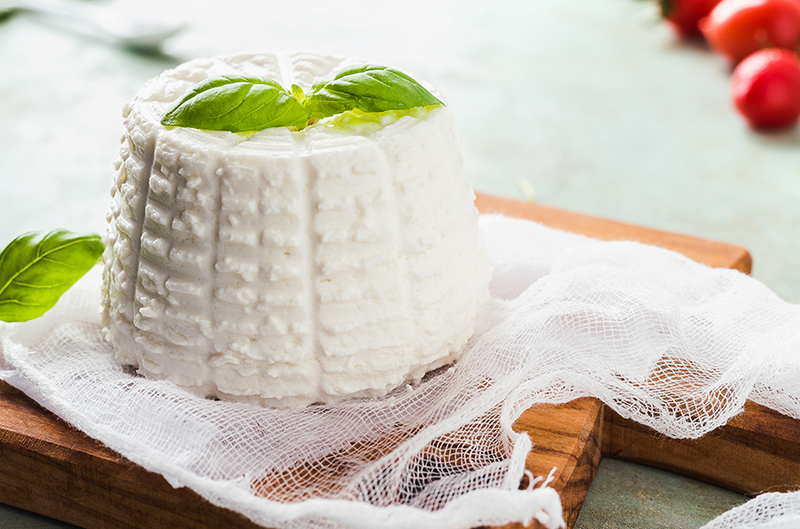 Whey ricotta is a soft, fresh curd cheese which is used very frequently in Italian cooking. Ricotta literally means recooked. The high temperatures used to make this cheese, separate the remaining proteins in the whey to make ricotta cheese. The yield is however quite low, and milk is therefore added to help increase it. Whey used for ricotta needs to be fresh whey and best less than 1 hour old. Thoroughly sterilise equipment with steriliser (see bottle instructions for use). If not included, use baby bottle steriliser or boiling water. Heat whey to 60°C (140°F). Stir frequently. Add full fat, homogenised milk. 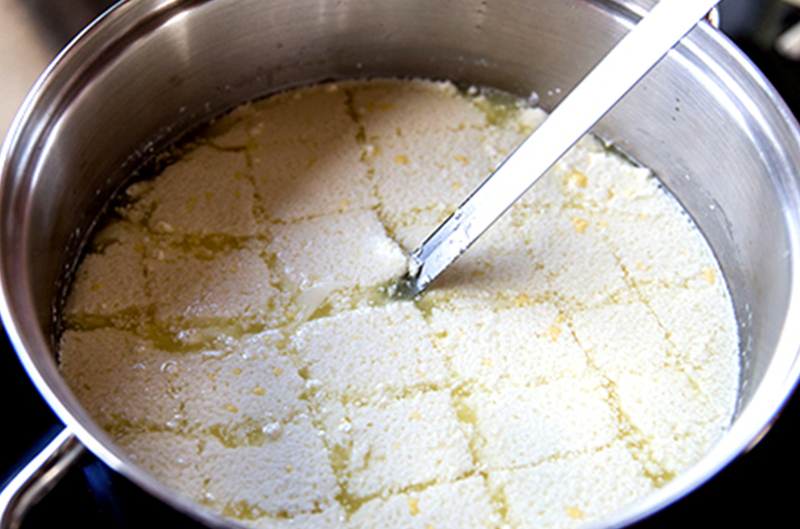 Add 1/2 tsp – 1 tsp of salt if you like a salty ricotta. Continue to heat the milky whey to 90°C (194°F). Continue to stir. At 90°C (194°F) stir while slowly adding the vinegar. At the first sign of small specks appearing in the whey, stop adding vinegar. Leave to stand on a low heat for 5 - 10 minutes to let the ricotta firm up. Then, gently scoop off the layer of curd that has risen to the surface (this is ricotta) into a ricotta mould (the ricotta mould may need to be lined with cheese cloth). Eat straight away or store in the fridge and use within 1 week.